In the 350th anniversary of Tajmahal, a lot has been written about the beauty, splendour, and the symbol of love that Taj has come to stand for. A new twist has been added to it when the Waqf Board claimed its ownership rights on the Taj. But, the philosophical or the ‘ideological’ side of Tajmahal—the fact it has stood for almost 350 years as a tribute to love and womanhood—has not been ‘touched’. The present article seeks to underline that in the backdrop of Post-colonial and Feminist discourses which have now been able to underline how down the ages, ‘image-making’ and the ‘politics of representation’ have been one of the major tools to establish the superiority of the dominant over subaltern, male over female, the great Taj can very well be seen as a tool of the perpetuation of male notions about what the right womanhood or love should be. It may be jarring to suggest, but a close scrutiny of the historical facts and our social attitudes does bear out that since at the centre of this monumental gift lies a loving, doting, and traditional wife like Mumtaj Mahal nee Arjumund Bano, it might have come handy to reinforce traditional male/society’s conception of womanhood. The question that arises in one’s mind is whether the Taj would have derived this much of attention and praise had it been made in the memory of an independent minded, freedom seeking and ‘feminist’ personalities like a Razia Sultana, or a Noor Jahan? Actually, the romantic, dreamy and tragic background of the construction of Tajmahal have been so overpowering and so skilfully played up that one finds even the most feminist or liberated woman of our time to be quite oblivious of the way the image of Mumtaj Mahal as an ideal woman has been able to score over some of the strong female personalities as mentioned above without any discussion on the status of Mumtaj Mahal as an individual. It is hardly surprising then that while we talk about the death of Mumtaj Mahal in 1631 and the way it left Shahjahan emotionally derelict leading him to the construction of the mausoleum, we just gloss over the fact the she died while delivering his 14th child, a daughter called Dahar Ara, in the span of 19 years of marriage having got married in 1612. It is not surprising that seven of the children died in infancy. Here one can very well refer to the eminent feminist critic Madhu Kishwar’s analysis of the way ‘the pervasive popular cultural ideal of womanhood’ has been sustained through the image of a ‘woman as a selfless giver, someone who gives and gives endlessly, gracefully, smilingly, whatever the demand, however unreasonable and harmful to herself’. The image of Mumtaj Mahal is certainly a case in point sustained through the powerful symbol of Tajmahal with the romantic angle woven around it. Considering the royal customs of the time, it is not worth discussing that Mumtaj Mahal was not the only woman in Shahjahan’s life—though it is commonly accepted that she was the ‘favourite’ queen. However, for the sake of record, the names of his other queens like the A’azz-un-Nisa Begum (also called Akbarabadi Mahal), who made large red stone mosque at Faizbazar in Delhi in 1651 and a masjid at Agra called Akbarabadi Masjid, Fatehpuri Begum, the founder of the Fatehpuri Masjid at Delhi, Qandahari Begum (buried at Qandahari Bagh in Agra), Kabuli Mahal, Sarhindi Begum etc may be taken. Despite the all too common practice of polygamy mostly followed by the male of the royalty down the ages (however the concession to the female to re-marry in case of death of the husband or estrangement or out of sheer love can also be exemplified), one finds that an intelligent woman like Noor Jahan nee Mehr-un-Nisa, one of the wives of Jahangir, could command ultimate power and rise much beyond the status of a decorative woman in the life of the king. It is of common knowledge that during the last years of Jahangir, it was her word that was law with the Emperor largely managing the affairs of the state in her ‘consultation’. When we are confronted with the fact that she was the only woman during the Mughal period whose name accompanied that of the king on the farmans as well as coins of the day with the inscriptions like, by order of the emperor Jahangir, gold acquired a hundred times additional value by the name of the empress Nur Jahan , we can guage for sure the paramount importance she held during the time. However, the facts that Nur Jahan almost ruled the country with elan, that she was gifted with the rare quality of composing extempore verse, that she invented the device to perform attar distillation from flowers to make perfumes, and also came up with many innovations in food, jewellery and dress etc are not the ones which are etched in popular imagination. Her name generally evokes the image of a cruel, obstinate, and vindictive woman who quelled any rebellion against the dynasty forcefully. Interestingly, the general impression has been that since Jahangir mostly whiled away his time in hunting, womanising, wine-drinking etc, it provided Nur Jahan the right opportunity to become the de facto ruler. How about looking at her from the perspective of a woman who stepped in, took control and saved the dynasty from dissipating despite a pleasure-seeking king and husband? The fact that Jahangir was her second husband has also seemed to have gone against her. The different yardsticks that have been employed to judge a man and woman for the same kinds of behaviour or misbehaviour are quite glaring in the case of Nur Jahan vis-à-vis other male rulers. It is surprising to note that in the context of a male ruler his cruelty, impulsive behaviour, brutal suppression of rebellion etc are seen and explained in terms of social and political phenomena, in the context of someone like Nur Jahan, that becomes personal characteristics, unbecoming of the female of the species. Is not it so because she fails to fit in the picture of a subordinate and docile wife as Mumtaj Mahal does? It becomes all the more ironic when we realise that Mumtaj Mahal was the daughter of Nur Jahan’s brother Asaf Khan, the all important vizier of Shahjahan. The ‘virtues’ of power, adultery, rebellion etc in case of a man metamorphosises into a clear cut vice or as the most dominating feature in the case of a woman. This seems to have been the motivating factor in creating a particular kind of image of Razia Sultana also, who actually became the Empress of India (1236-1240) under Slave Dynasty during Delhi Sultanate era almost three hundred years before the founding of the Mughal Empire in 1526. It is interesting to note that when historians have found it rather a difficult proposition to even list out the names of all the ‘legal’ wives of the kings and Sultans down the ages due to obvious reasons, even the ‘details’ of the so-called romantic liaison of Razia Sultana with one Abyssinian slave Jalaluddin Yaqut have survived all these more than 750 years after her demise! Is not it an androcentric perspective on history which has given too much importance to this aspect of Sultana’s life as seen in discussions among historians on issues such as whether Yakut used to lift Sultana in his arms to make her sit on horse and whether this infuriated the medieval lords around her? Consequently, any mention of the reign of Razia Sultana brings to the popular mind the sensual image of a Sultana flirting allegedly publicly with a black slave. This has of course been exploited and re-emphasised by the popular Hindi movie made on her. The enterprise of someone like Razia Sultana or Nur Jahan, who had the ‘temerity’ to rule over the feudal, male dominated society in their respective periods and respective ways; who could assert their self, is unlikely to be a role model even now. For the contemporary man, the husband-centric persona of Mumtaj Mahal is likely to be more desirable because on her he can shower the praises of beauty and love from his own secure pedestal of confirmed superiority over his ‘beloved’. In this context, one cannot but bring to evoke the proverb from Mozambique that says ‘never marry a woman with big feet’ which is likely to be accepted by most of the ‘modern’ men. This brings us to the politics of love as a domain of man, where invariably woman is the ‘beloved’ and not vice-versa. And even in instances, where the man is the ‘beloved’, the woman’s existence and freedom depends on the man she desired. Most recently, this issue has been quite admirably studied and discussed by Neela Bhattacharya Saxena. However, in the context of discussing Tajmahal as a symbol of love, it is neither desirable nor proper to draw parallels from literature, mainly because the contemporary history itself can provide suitable illustration. The question raised in the second paragraph of this write-up can very well have a corollary: Would Tajmahal have become a symbol of love had a woman made it for her ‘beloved’? 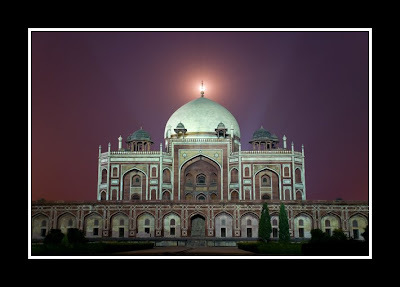 The question becomes quite relevance in the context of the historical background to the making of another splendid and more pioneering mausoleum of the Mughal period, Humayun’s Tomb at Delhi. Made during Akbar’s reign, its construction was started in 1565 and it took almost 16 years in its completion. The surprising and the sad part of this beautiful building is that the fact that it was actually built under the initiative and supervision of Humayun’s widow Hamida Bano Begum or Haji Begum (who was Humayun’s companion in his Persian exile and mother of Akbar) has not found favour in the popular folklore unlike the ‘love story’ associated with the Taj. In fact, it has now become customary to refer to Humayun’s Tomb as having been built by the Emperor Akbar perhaps because it appears to be more ‘appropriate’ than blowing up the angle of a woman making it in the memory of her husband. It becomes all the more glaring when we find that the critics of architecture like Asher, Papadopoulo, Douglas Mannering etc pointing out that the paradisiacal imagery of Tajmahal, as also the basic architecture of the central hall with its dome surrounded by four small cupolas etc, all primarily take after Humayun’s Tomb. In that sense Tajmahal has not been found to be an ‘experimental’ architecture as Mannering states, “Its (Tajmahal’s) plan was not new but based on the tomb of Shah Jahan’s great grandfather Humayun.” However, what sets the Taj apart as an architectural marvel is the much bigger scale on which it was envisaged and constructed coupled with the fact that the splendid use of the white marble makes it utterly unbelievable. How does one take that the ‘love angle’ to Humayun’s Tomb has remained largely unnoticed? The comparison between Haji Begam and Shahjahan in the context of their expression of love for their respective spouses and the way Shahjahan’s emotions have been blown up down the ages whereas those of Haji Begam’s have been consigned to the footnotes of history, is the best example of what Virginia Woolf in her essay A Room of One’s Own (1929) describes as the sharp distinction between ‘male’ self-realization and ‘female’ self-annihilation that the human society has been based on. Considering the fact that the polygamous angle in the case of Haji Begam’s (as like all kings Humayun also had many other wives) relationship with her husband was an imposed condition, while in the case of Shahjahan it was an adopted one, one can not have much of hesitation in stating that Haji Begam’s desire to have a grand mausoleum erected in her husband’s memory was purely an act of love. In Shahjahan’s case, one can also point out that Mumtaj Mahal’s pre-eminence as his most favourite wife may also have got something to do with the circumstances of Shahjahan’s ascendence to the throne. It is a documented fact that the throne was actually secured for Shahjahan by Mumtaj Mahal’s father Asaf Khan, as Shahjahan was absent in Deccan at the time of his father Jahangir’s death. In the aftermath of Jahangir’s death, his most powerful wife Nurjahan tried to install Shaharyar, Jahangir’s youngest son married to her daughter from the first marriage, as the king. However, Shaharyar could not match the military acumen of Asaf Khan. While sending a message to Shahjahan to return and stake claim for the throne, Khan decisively fought Shaharyar and other contenders to the throne. The fact that though Jahangir died in October 1627, Shahjanhan could ascend throne only in February 1628 speaks volumes of the way Asaf Khan became instrumental in making Indian history the way it unfolded during the period. If Nurjahan had her way, the course of Mughal dynasty would have taken a different turn. However, in this intervening period, Asaf Khan not only took Nur Jahan as a prisoner but also proclaimed Shahjahan’s brother Sultan Khusro’s young son Dawar Bakhsh as the king. When Shahjahan returned from Deccan and ascended throne so single-mindedly secured for him by Asaf Khan, Dawar Bakhsh was killed as also all other possible contenders to the throne. The fact of Shahjahan’s ascension made possible by Mumtaj Mahal’s father Asaf Khan is brought to the discussion only to suggest that Shahjahan may have had some other plausible reasons for constructing the grand mausoleum, whereas Haji Begam’s tribute to her husband was apparently devoid of any other obvious or far-fetched motives. In an age when the kings entered into marital alliance for purely political reasons, when women were ‘given’ as one of the clauses of a particular political or military treaty, it is not very far-fetched to assume that such an epoch-making act of the securing of the throne for Shahjahan by Asaf Khan would have certainly cemented the king’s special relationship with the queen in question. If this supposition sounds a bit preposterous, one can always ask whether Mumtaj Mahal would have remained Shajahan’s ‘favourite’ queen had the father or relative of his some other queen helped him ascend the throne the way Asaf Khan did? It does not really require much of the stretching of imagination to know the motives behind the androcentric perspective of history wherein the romantic angle to the making of a grand mausoleum by a husband-king for his queen-wife has been blown out of proportion while understating other insalubrious facts. An important focus this article is indeed. 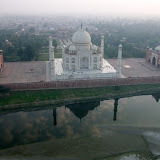 However, many in the world look upon Tajmahal less as a historical monument/moment. Its more a beauty, a marvel like a Greek poetry! Very stimulating and history brought to focuss.Love is the supreme feeling for which women in particular have sacrificed their whole possessions.Your brief biography is quite interesting.